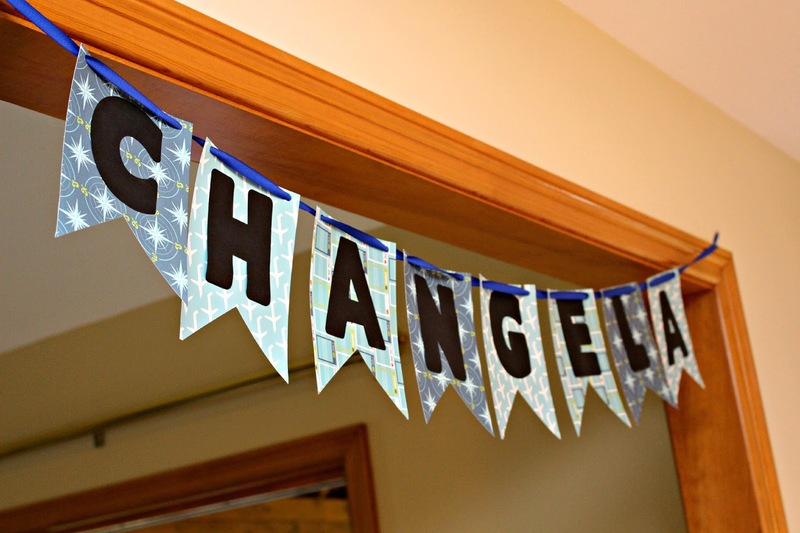 I was delighted to help Angela's mom and sister plan/organize "Changela's" Jack in Jill this past weekend. 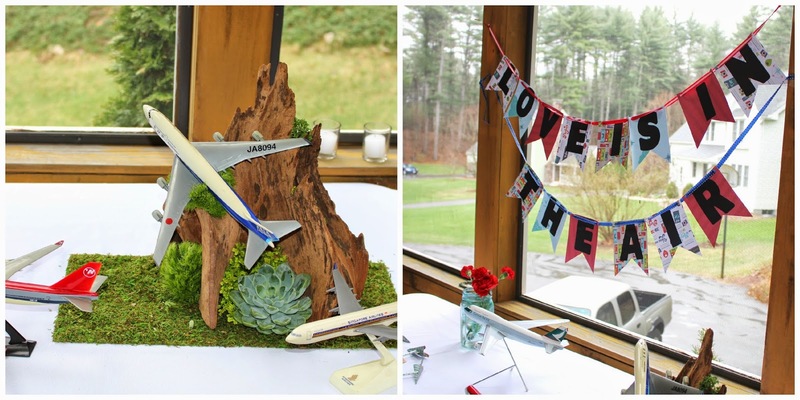 The rustic picnic shower incorporated some of the couple's interests that includes the outdoors and aviation (the groom fly planes as a hobby). Planning the shower was so much fun! We were inspired through Google Image search and Pinterest. Mel, Mrs. Broad and I would email each other every time we thought of something. I thought it was going to be tough at first but Mel was very organized with the details, lists and spreadsheets. At one point, we were communicating with each other at 3 different time zones; Mel in Spain, Mrs. Broad in Massachusetts and myself on vacation in Thailand. Despite all that, we still made it work and we couldn't be more happy with how everything turned out. Since the couple lives in California, it would be tough for them to transport their shower gifts back to the coast. I mean really, can you imagine lugging a Kitchenaid mixer through Logan airport? The maid of honor set up a Honeyfund.com account for the couple's Italy/Austria honeymoon. 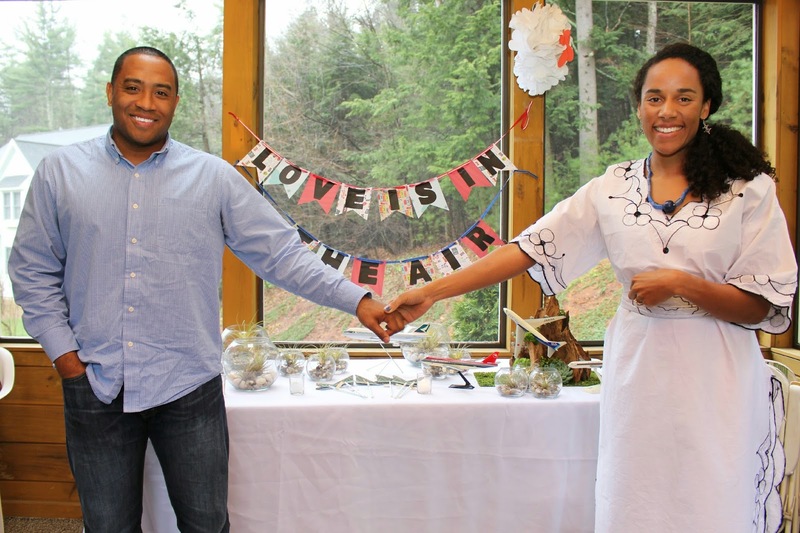 Mel created thrill seeking adventures such as canyoning, cable car rides, glacier sky walks, glacier skiing & hiking, mountain bike tours and beer tours that could be purchased as gifts for the couple's honeymoon. The shower took place at the Broad's beautiful home in Groton. The intention was use the enclosed porch, deck and backyard and play corn holes but mother nature didn't cooperate literally showered at the shower so we moved it indoors. 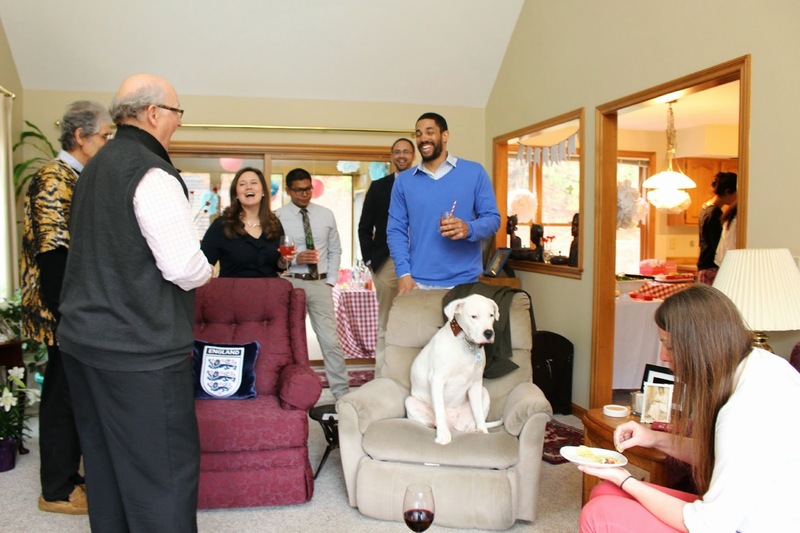 The party guests included family, grade school/ high school friends from Academy of Notre Dame, Dartmouth college buddies and close family friends. There was one special guest with four legs, Neera. She was precious. 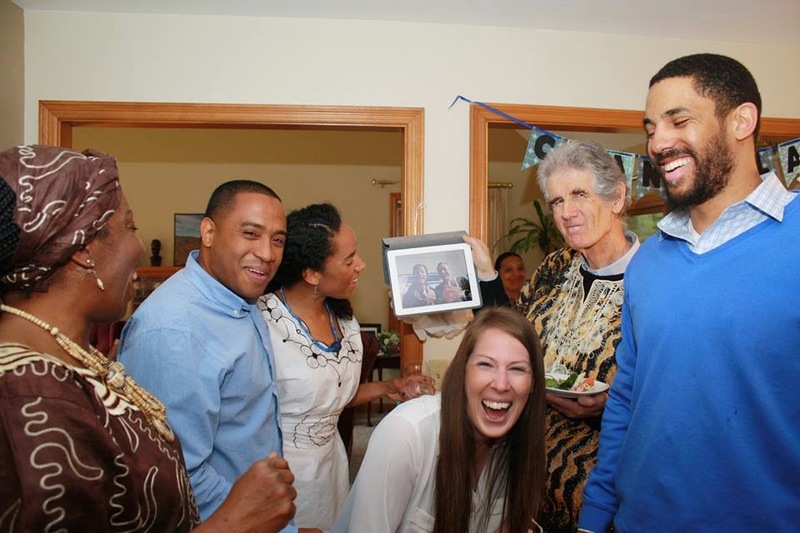 Mrs.Broad surprised the couple with a poster size photo from the day Chandler proposed to Angela in Iceland. She also help make paper airplanes and set up the "aviation" display table with her collection of model planes. 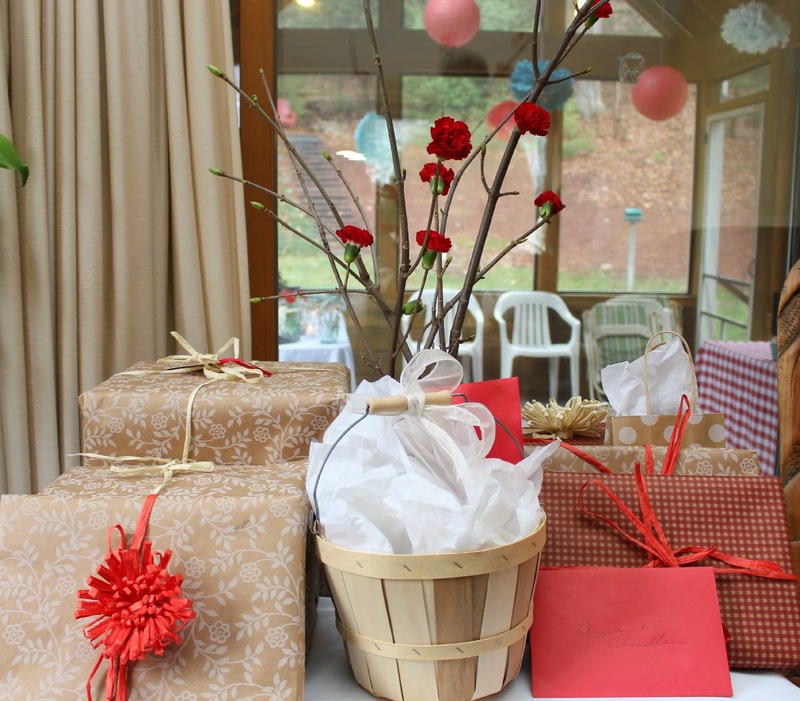 Lisa helped (well tried to help) fluff the pom pom balls and helped with the gift wrapping of all the Honeyfund gifts. Mrs. Broad had a great recipe for champagne punch that had sorbet, OJ and booze, my kind of drink at 11:00 AM. 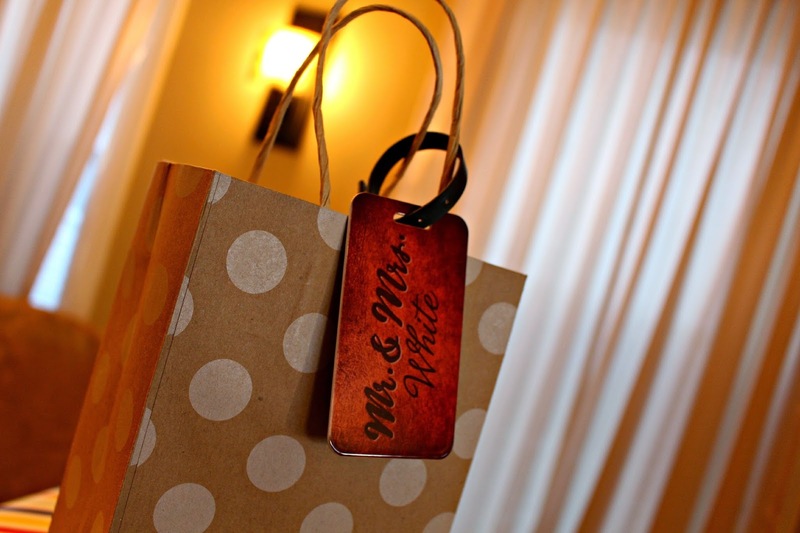 Mr. and Mrs. Broad provided guests with their favorite red and white wines. 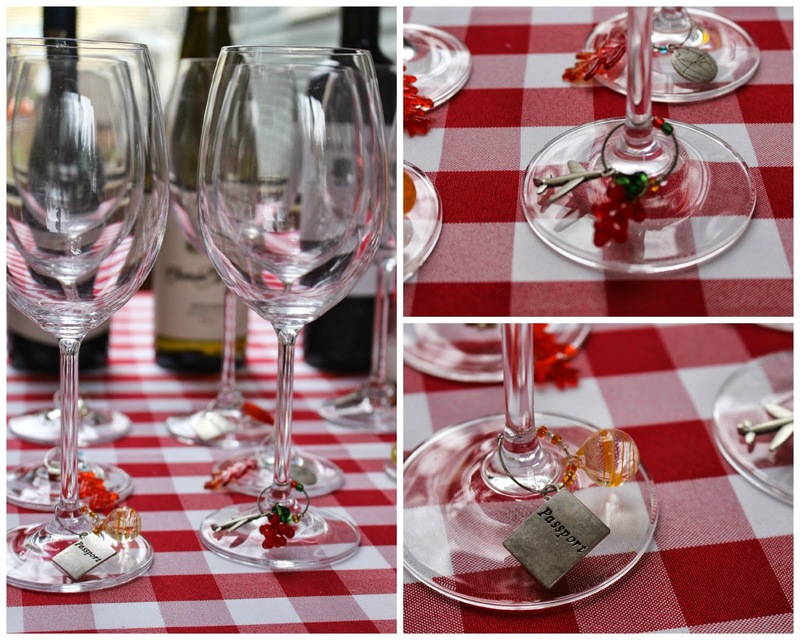 The charms on the wine glasses were travel-themed including passports, cameras, gloves and planes. We set up a spiked lemonade station with 4 types of lemonade where guest could add as much Absolut vodka as they wanted or none at all. 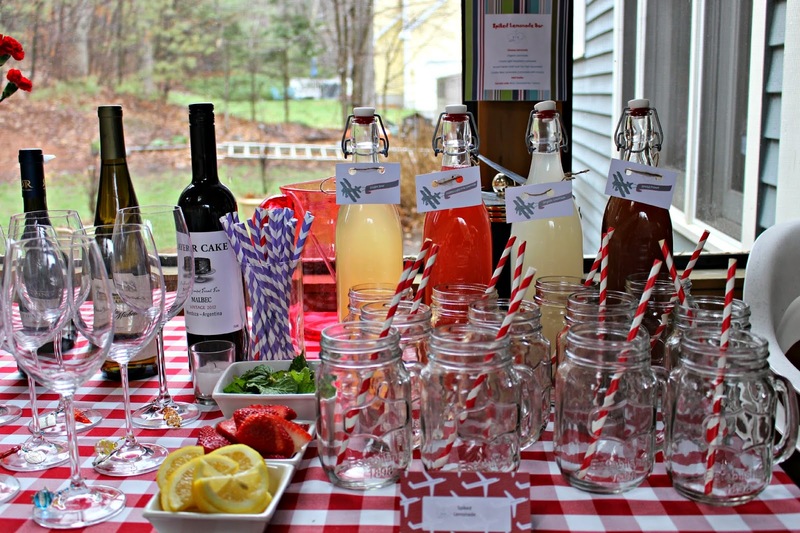 Guests could choose from different mint, lemon and strawberry garnishes for their drinks. 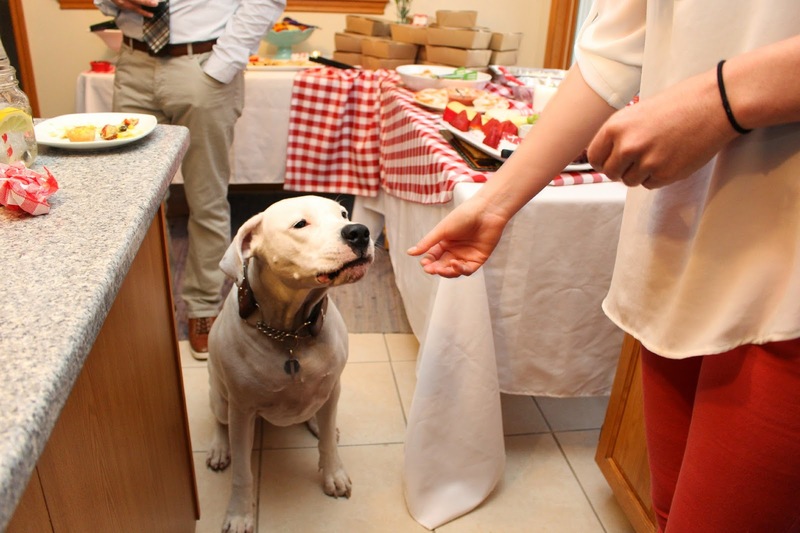 Guests didn't leave the party hungry. Matter of fact, most left with doggie bags! 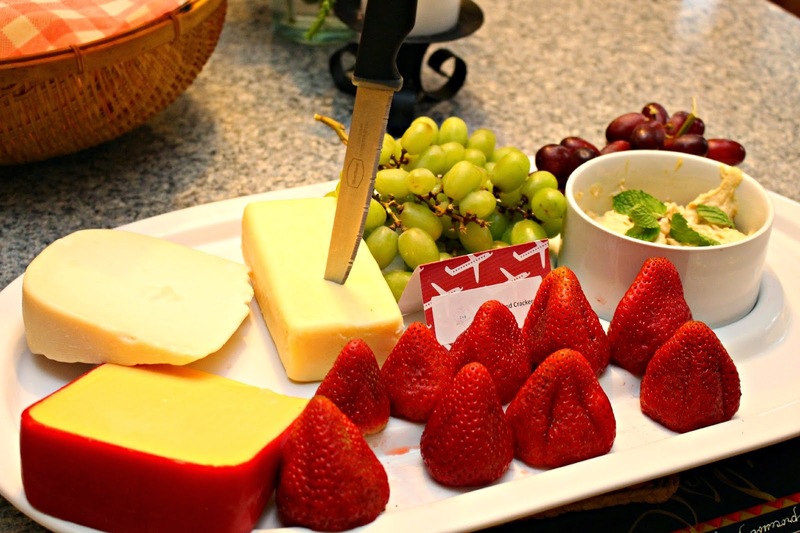 For starters, Mrs. Broad prepared quite the spread. Of course she made her famous baked brie served with apples in addition to mini quiche, cheese and crackers, fruit skewers, shrimp cocktail and a Mexican guacamole dip to die for! 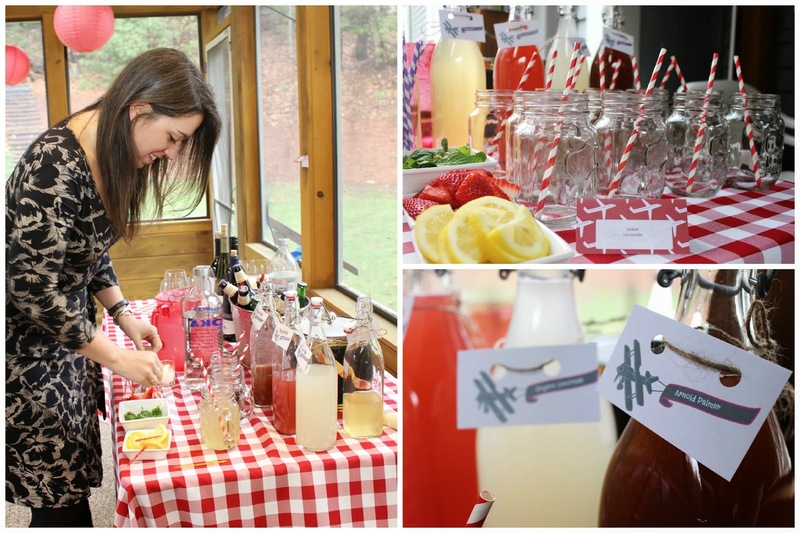 The food and drink tables was dressed in fun red and white gingham table clothes that Mel ordered to go with the rustic picnic theme. 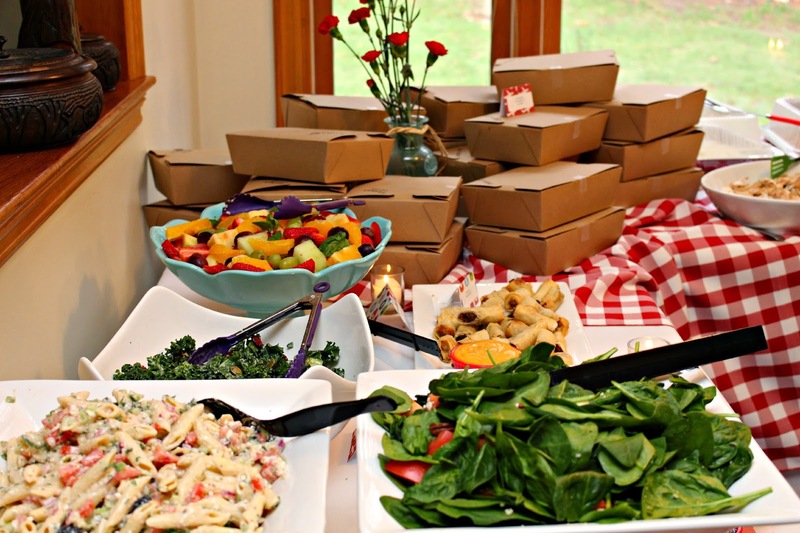 For lunch, there was pasta salad, moist and tender grilled chicken breasts, spinach Gorgonzola pecan salad, different gourmet sandwiches and chips packaged in recycled brown picnic boxes that Mel ordered and sent to the caterer Chrysanthi's in Brookline, NH. 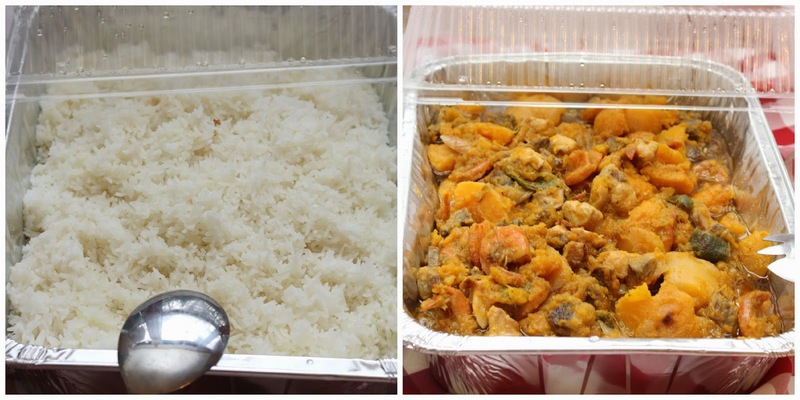 Mrs. Nveleh Jackson brought a delicious African chicken, shrimp, squash stew with white rice. It was so good, I couldn't stop eating it and I even packed a bowl to take home after the party. I definitely plan on "copy-catting" the recipe. 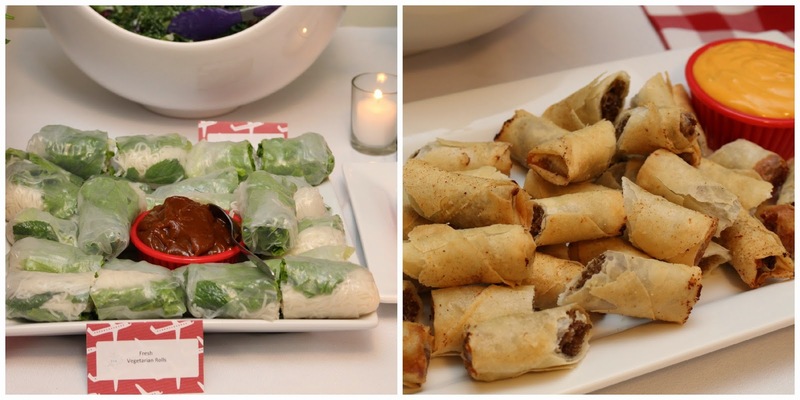 I couldn't go to a party without my staple rolls and brought steak & cheese eggrolls and fresh vegetarian spring rolls with sate sauce. 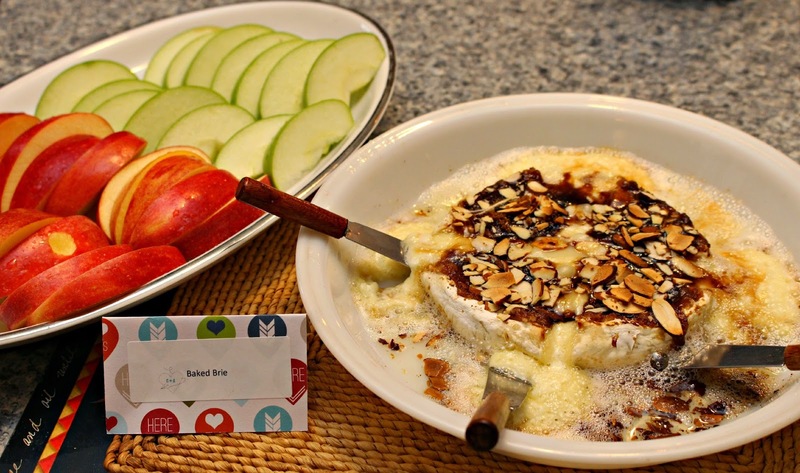 As if you weren't stuffed already, there was a display of decadent homemade dessert made by Mrs. Broad. She is quite the English pastry chef! 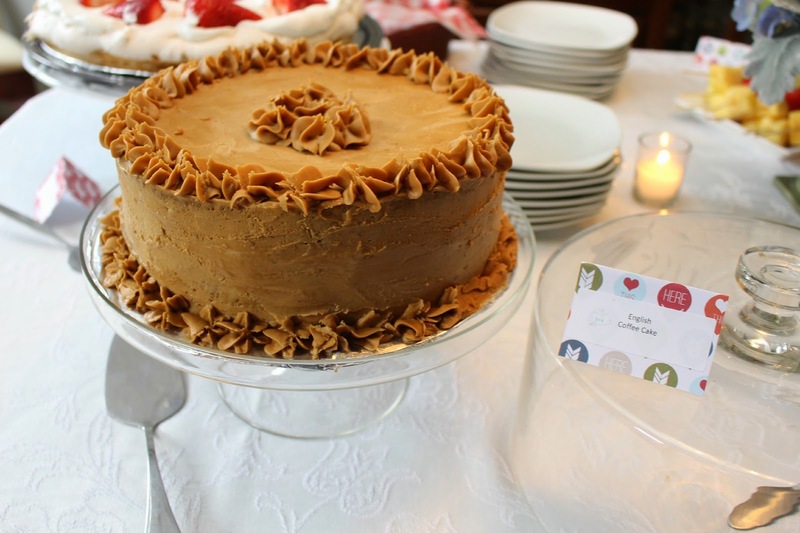 There was a rich coffee cake with coffee in the cake and the frosting. Everyone raved about it. Angela's brother James expressed that it was his favorite and Alice insisted that I try it because it was so good. Mrs. Broad also made a meringue and an English sponge cake. 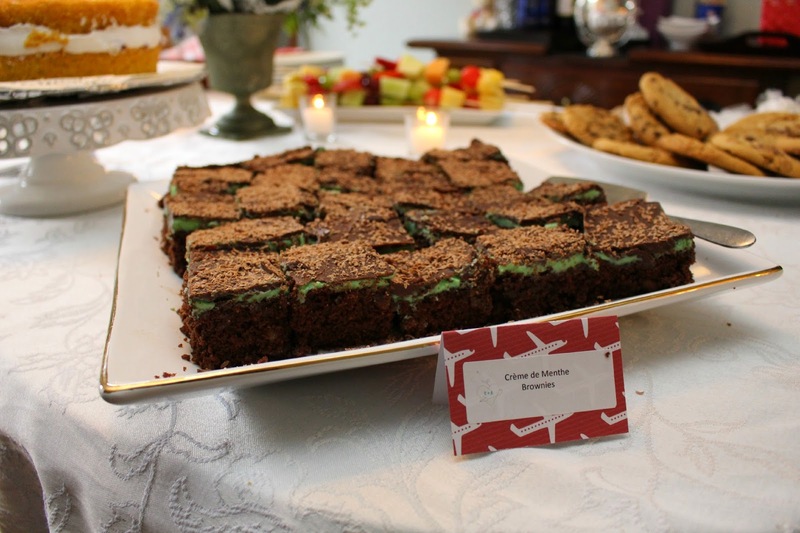 I had first dibs on her Creme de Menthe brownies and those were my favorite. 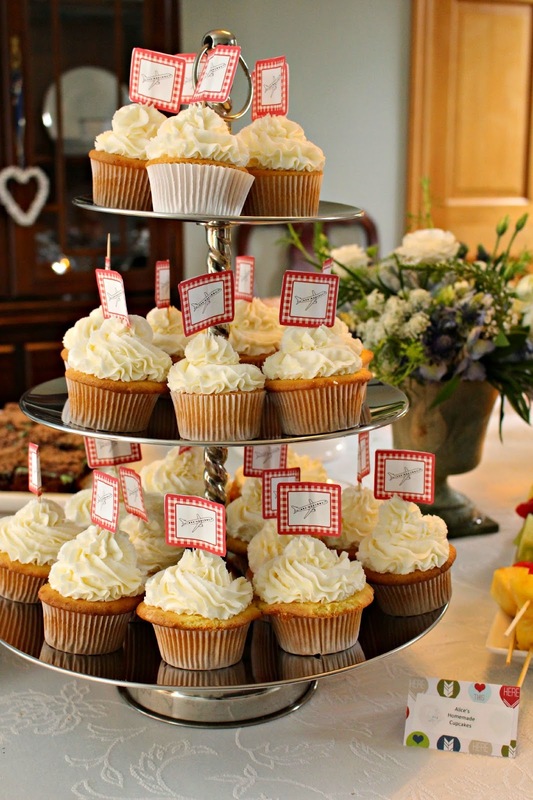 Alice made her special vanilla cupcakes customized with an aviation/gingham theme that was beautifully displayed on a silver tiered platter. Near the dessert table, we set up a "Words of Wisdom" area where guests could write advice to the soon to be newly weds. The highlight of the party was when Mel and her husband FaceTime into the party and drank champagne with us as they were sitting on their couch in Spain. They said hello to the guests and was so excited to see everyone. It was so awesome! Mrs.Broad came up with a wonderful idea of getting air plants as favors for guests. The plants area beautiful and easy to maintain. 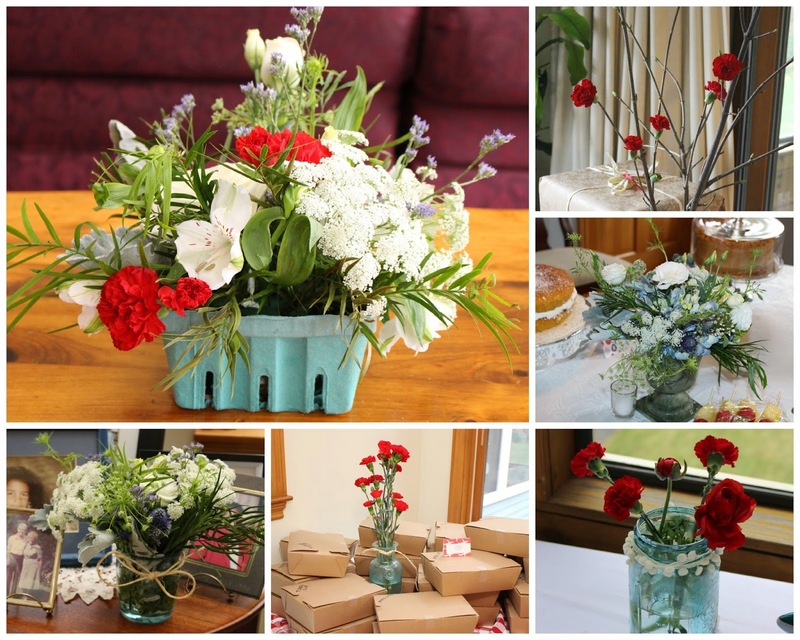 Mel ordered all the plants and supplies and Mrs.Broad arranged the favors in the glass bowls. 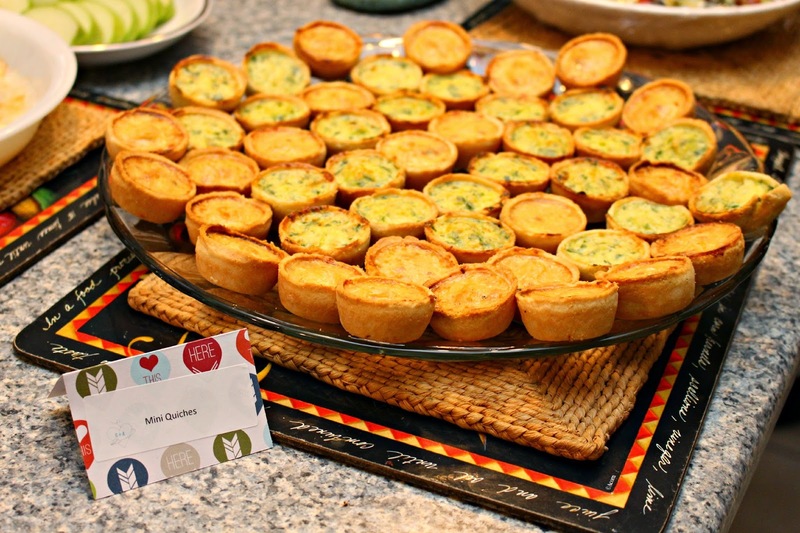 The guests loved them. It was original and I've never seen it done before. It was really helpful that Mrs.Broad had a couple girls to help out at the event. They assisted with set up, cleaning and serving. I definitely will consider doing this for my future events. 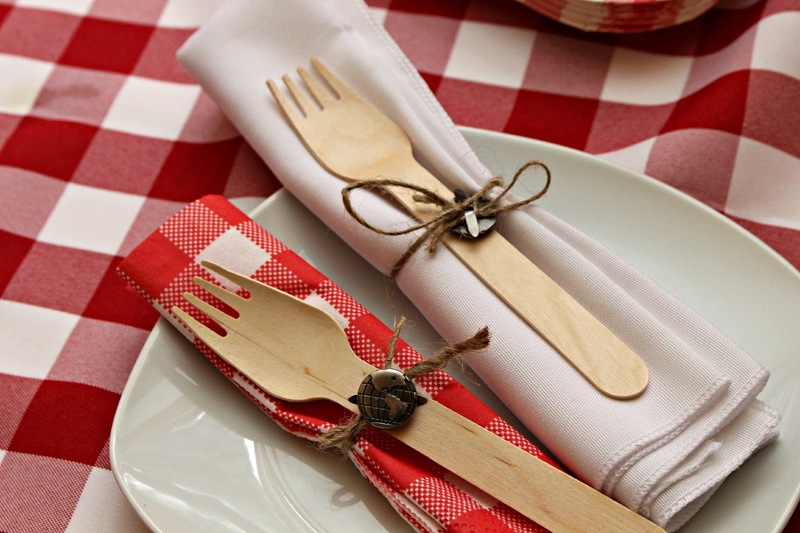 It gives the host/hostesses the opportunity to enjoy the party and guests instead of running around like a man woman. The shower was wonderful. 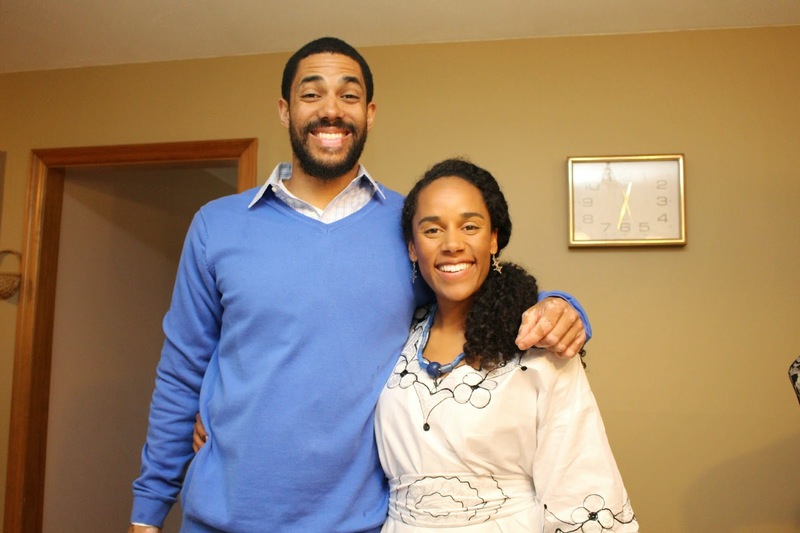 The bride and groom was happy and grateful; and everyone enjoyed themselves. 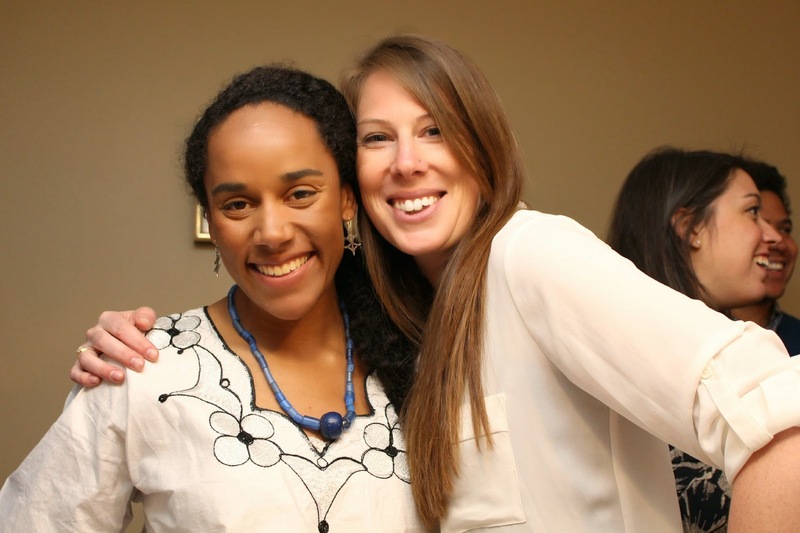 It was great to see Angela so happy and catching up with everyone she loves at the party. 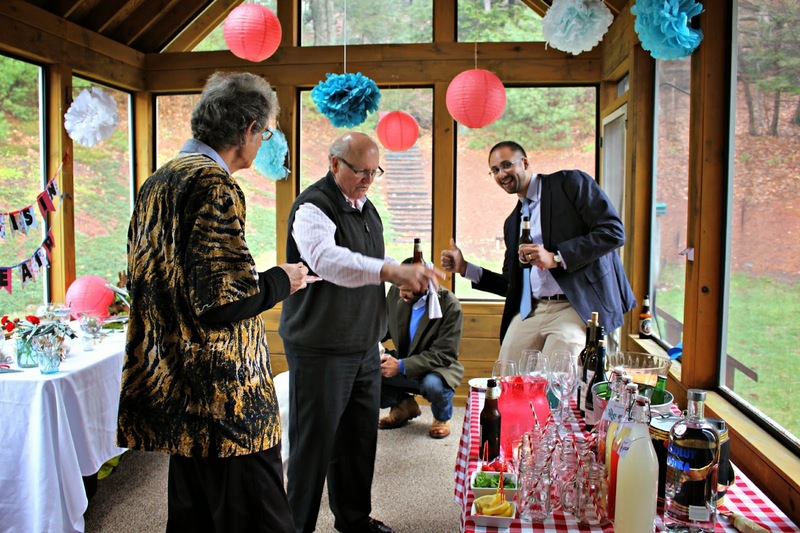 Also, I thought it was great for people to meet other wedding guests so everyone kind of knows each other the weekend of the wedding in Vermont. Thanks Mel and Mrs. Broad for co-hosting an awesome shower! Special shout out to Sophea, Mera and Lisa that helped with the flower arrangements, banners, and gift wrapping! You guys are awesome!